Like so many, I was saddened and shocked at hearing the news that NBC newsman/commentator Tim Russert had died from an apparent heart attack in his office. It was just one of those things coming out of the blue you totally don't expect. I had no idea he had any type of heart disease. In fact, like me, Tim had recently had one of those treadmill stress tests for your heart. Like me, Tim passed easily. Tim Russert is just barely a year older than myself. 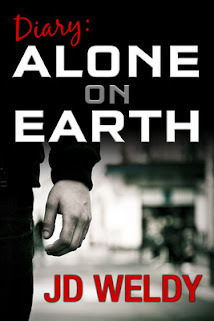 More and more, as time goes by, I seem to see the grim reaper make himself known to me. Like all of us, Tim was mortal. Like all mortals, we have a date with death. But, I had no idea Tim Russert's would be so soon. Tim Russert was a political junkie. You could tell he was as excited by discussing politics as people are baseball, soccer or any other popular spectator sport. Tim was known for his engaging, unrelenting and probing questioning of guests on "Meet the Press." It was a style that was unheard of on the mundane Sunday morning talk shows. Soon, however, many others started adopting his style, including Chris Wallace by his own admission last night. I do think Tim Russert, like so many in the news media, let his bias show through at times. It was evident in the Obama-Clinton debates. But, he was human and I understood that about him. Tim Russert came to my hometown (Mobile, AL)in March of 2006 to address a scholarship dinner that saluted Spring Hill College's 175th anniversary. "What is God's work here on Earth?" ask Tim Russert that night. He said it wasn't enough to take your diploma and move on. You have a special obligation. It's safe to say, Tim Russert's work on this earth was done and, indeed, it was time for him to "move on." 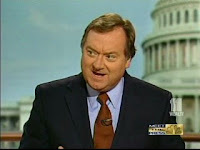 Tim Russert 1950-2008. He will be sadly missed by all who watched and listened to him over the past decade. Damn! I thought the "World News Weekly" had gone out of business! Hilarious! A really unique idea for a blog. ehehehe...thanks for sharing.